Product prices and availability are accurate as of 2019-04-21 17:24:16 UTC and are subject to change. Any price and availability information displayed on http://www.amazon.com/ at the time of purchase will apply to the purchase of this product. Mariell's "Faith" Necklace and Earring Set is inspiring elegance you can wear everyday. 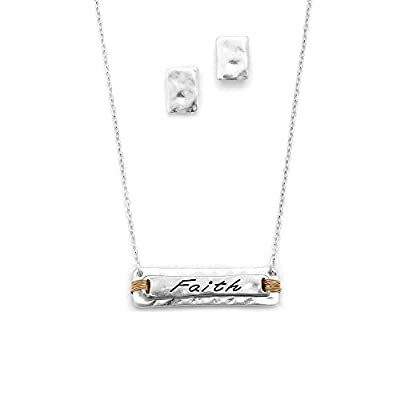 Belief is a beautiful thing and this motivational jewelry set celebrates your faith with a lovely etched message on an Alpaca silver bar-style necklace with hand wrapped gold-wire accents and matching textured post earrings. We promise you'll adore this top-selling statement set or your Money-Back. Treat yourself or someone you love to high-end designer styling at a fabulous low price. 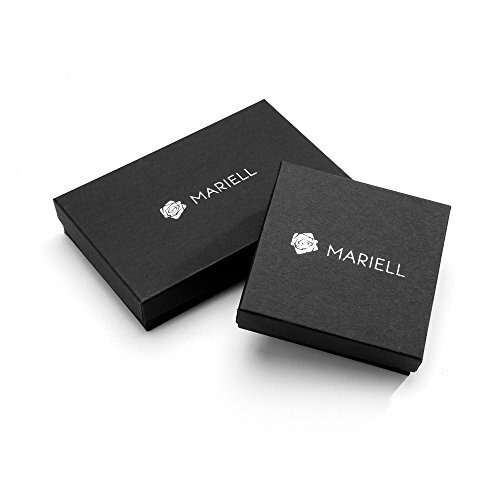 Enjoy Mariell's exclusive 100% Risk-Free Purchase and Lifetime Guarantee.